The US Embassy in Phnom Penh has in damage control and refusing to answer questions after Cambodia Prime Minister Hun Sen today, March 3, accused the American ambassador to Cambodia of lying about the latest sanctions and aid cuts to his country. On Tuesday the White House announced it was axing some US$8.3 million in aid programmes to Cambodia in response to “recent setbacks to democracy”. Among programmes being axed in its latest sanctions, it said, were those supporting Cambodia’s General Department of Taxation (GDT), military, and local government. 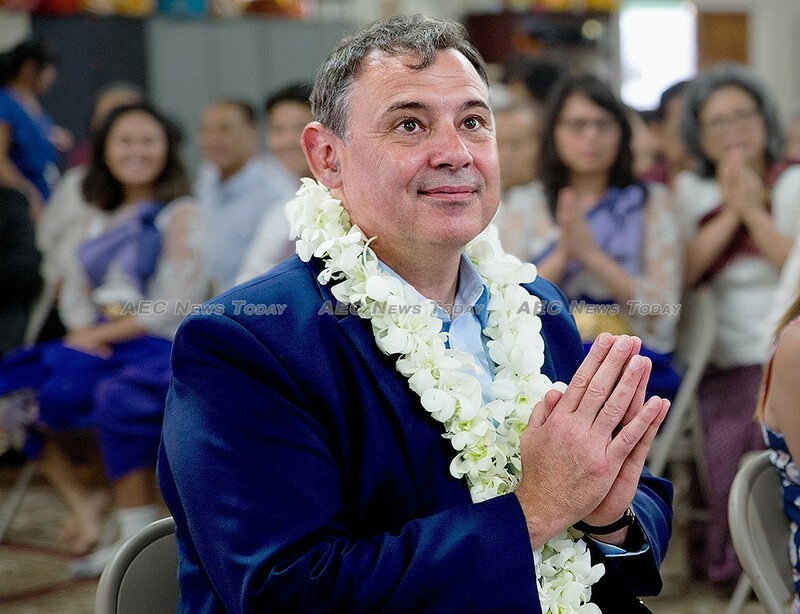 However, on Saturday, speaking before a gathering of garment workers in the southern province of Preah Sihanouk, Cambodia’s strongman PM called out the US government and accused US Ambassador to Cambodia, William Heidt, of lying. “We, the 16 million people, didn’t receive American aid in the tax sector. This aid was already finished in 2016. Please, US ambassador, answer this one question: why did you announce cutting aid while there is no aid? 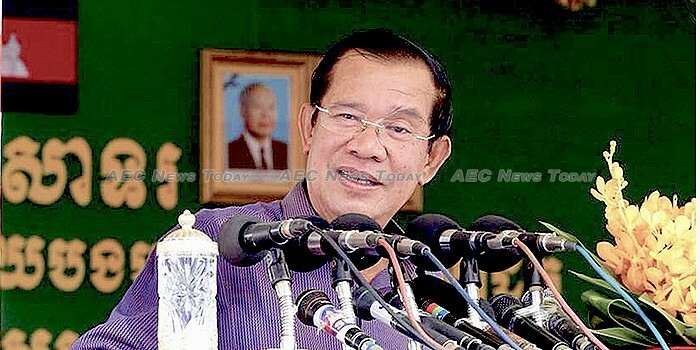 Do you intend to distort the reputation of Cambodia?” Reuters quoted him as saying. 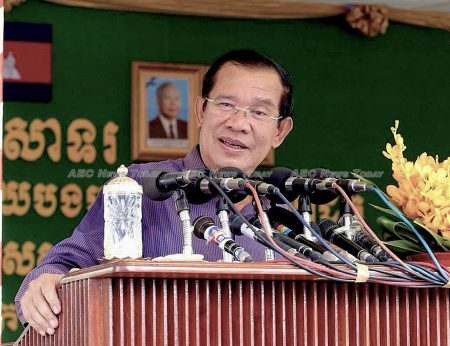 Referring to a letter sent by Ambassador Heidt to the GDT announcing an end to the already expired programme, the Cambodian PM said the letter was a political humiliation to Cambodia with the goal of helping revive the former opposition Cambodia National Rescue Party (CNRP), which was dissolved last November by the Cambodia Supreme Court. “Please do not expect that”, he said. At the time, White House spokesperson Sarah Huckabee Sanders said programmes that support the Cambodian people, such as those in health, agriculture, and mine clearance would not be affected by the latest sanctions. According to Ms Sanders, the US government has spent more than $1 billion supporting Cambodia over the last 25 years — an average of $40 million per year. The latest sanctions against Cambodia coincide with an announcement by the German government, also on Tuesday, that it was suspending preferential visas for Cambodian government members. On February 26 the European Union (EU) threatened to impose unspecified “specific targeted measures” against Cambodia if it failed to stop using the judicial system to harass and intimidate political opponents, NGOs, and rights activists. Prior to this past week, the US Department of State (DoS) announced on December 26 that it would “restrict entry into the United States of those individuals involved in undermining democracy in Cambodia”. In a defiant response, Prime Minister Hun said at the time, “I encourage the European Union and United States to freeze the wealth of Cambodian leaders abroad”, adding he had no money outside of Cambodia. Reuters reported that the American Embassy in Phnom Penh declined to comment on the Prime Minister’s claims, while requests for comment by AEC News Today to the embassy, the White House, and US Department of State also went unanswered. If the claims regarding the latest sanctions by the Cambodia Prime Minister are true it will be the latest incident of the White House being caught lying. On Thursday White House communications director Hope Hicks announced her intentions to resign from the high-level position, after telling the House Intelligence Committee (HIC) that she occasionally told “white lies” as part of her job. Ms Hicks is the Trump administration’s fourth communications director in 407 days. Meanwhile the Royal Cambodia Army (RCA) is gearing up for the next ‘Golden Dragon’ military exercises with their Chinese counterparts. Some 300 Cambodian soldiers are expected to participate in the exercise, along with a similar number of Chinese troops, with the event marking the 60th anniversary of diplomatic relations between the two countries.. Prior to the ‘latest sanctions’ China’s Ambassador to Cambodia, Xiong Bo, handed over advanced medical equipment to the state-run Preah Ket Mealea military hospital on behalf of the Chinese Ministry of Defence (MoD), vowing to strengthen military cooperation in the future, including support for Cambodia military hospitals. In late January it was announced that China would supply Cambodia with “about 100 tanks and armoured vehicles” in a gesture of goodwill to “strengthen the relationship between the two countries militaries”, and last week Prime Minister Hun indicated that tens of thousands of tons of military equipment had just been received. China is not only Cambodia’s largest foreign investor, it is also Cambodia’s largest aid donor. Since 1992 it has provided more than $200 million annually in development aid, in addition to providing Cambodia with some $3 billion in concessional loans and grants. The next Cambodia general election is scheduled for July, but the US and EU have refused to fund the poll in protest at the continuing tightening of the Cambodia democratic space. Last September Kem Sokha, leader of the now dissolved CNRP was accused of colluding with America to conspire against the Cambodia government and charged with treason. On Friday the Phnom Penh Municipal Court ordered the seizure of the former CNRP’s headquarters, owned by its former leader Sam Rainsy, because he had failed to pay a $1 million defamation judgment against him in favour of Prime Minister Hun, and one other ruling party leader. Over the past 12 months the Cambodia Prime Minister has repeatedly called on Washington to waive a $274 million loan to the Lon Nol regime of the 1960s, which has now grown to more than $500 million. The feisty Prime Minister frequently calls for the debt to be waived in partial compensation for the estimated 2.757 million tons of bombs the US dropped on Cambodia illegally between 1965 and 1973, and whose bombing campaign is attributed to fuelling the rise of the Khmer Rouge, who went on to kill more than one million Cambodians between 1975 and 1979. Last year Ambassador Heidt reiterated Washington’s stance that the debt be paid, telling Cambodia government officials “it’s in Cambodia’s interest not to look at the past, but to look at how to solve this”, claiming that the American government had never seriously considered waiving the debt. Meanwhile, the US continues to call on the Cambodia government to continue searching for the remains of 40 US servicemen killed during the US-Vietnam war. Pro-CPP political observers continue to point out out that while the US is quick to impose sanctions against Cambodia, it has failed to impose the same on Thailand, where democracy has been “suspended” since 2014, or on Myanmar where some 800,000 Rohingya refugees have been forced to flee into neighbouring Bangladesh in the face of a genocidal ‘scorched earth’ campaign by the Myanmar Tatmadaw, nor on the Philippines where thousands of people have been killed in President Rodrigo Duterte’s ‘war on drugs’, not on Vietnam where pro-democracy and environmental bloggers are regularly sentenced to long prison terms for writing about State failures.